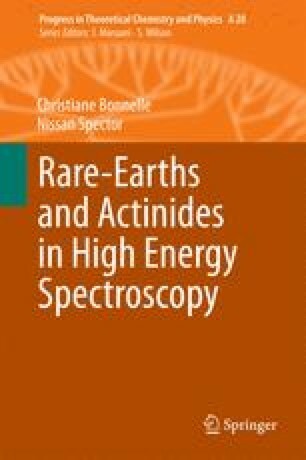 Electron distributions in the main compounds of rare-earths and actinides are described in relation with the valence of these elements. Their changes as a function of the physical conditions, temperature, pressure and some potential applications of these materials are discussed. Cerium compounds are particularly considered.